Missouri’s game wardens work for the state’s Department of Conservation and are known as conservation agents. These agents are responsible for both enforcing the law and managing the state’s resources. Missouri has a tremendous amount of natural resources ranging from popular lakes such as the 55,000-mile Lake of the Ozarks to the Ozark Mountains. More than 14 million acres of forests are located in Missouri, and the state contains 86 border and inland rivers. While these resources draw hunters, anglers, and wildlife watchers alike, they also draw more nefarious people such as poachers. Missouri’s conservation agents enforce wildlife laws, testify in court, perform search and rescue operations as needed, collect data on wildlife, fish, and bird populations, and educate the public about conservation issues. This suite of responsibilities requires individuals with a broad range of skills who are adept at handling pressure. While the job of a conservation agent is highly demanding, it is also a career sought by many people. Therefore, competition is fierce. Applicants who seek to join the ranks of Missouri’s conservation agents will have the best chance of being hired if they are highly familiar with the requirements for these positions. Read on to learn more about becoming a game warden in Missouri. Men and women who are well suited to becoming conservation agents in Missouri share two traits. One is a love of outdoor recreational activities such as hunting, fishing, and hiking, while the other is a strong sense of duty when it comes to the conservation of Missouri’s wilderness. The primary job of these agents is to manage fish and game regulations and apprehend poachers, but being a conservation agent has a wide range of facets. These professionals help facilitate the acquisition of public lands, educate the public on hunting and fishing information, and help during crises or rescue situations. The diversity of roles of a conservation agent in Missouri means that applicants must have a diverse skill set and be prepared to face stiff competition during the application process. Shown below are the minimum qualifications needed to become a Missouri conservation agent. Citizenship: Proof of U.S. Citizenship, resident alien status, or naturalization documents are required. Proof of Missouri residency is required. License: A valid Missouri-issued driver’s license is required. Military Service: Veterans must have been discharged "Under Honorable Conditions"
No addictions to drugs or alcohol; candidates will be subject to mandatory drug screening. 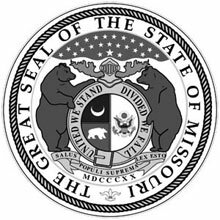 Academic Credentials: Completion of high school or GED is required; Applicants for game warden jobs in Missouri must have a Bachelor of Science degree, majoring in natural sciences, law enforcement or criminal justice. Applicants must complete a 26-week course consisting of basic police officer training in firearms, defensive tactics, search and seizure, and arrest. Successful trainees will complete 1,000 hours of licensed law enforcement training. Interview: Candidates will have a formal panel interview with senior officers and human resources personnel to evaluate experience, knowledge, and demeanor. Medical evaluation: The candidate will be evaluated by a medical professional to ensure that he or she is in satisfactory health. Vision: The applicant must have good corrected or uncorrected binocular vision, and have color vision consistent with the demands of the job. Demonstrate effective use of English including both written and oral formats. Demonstrate competent firearm usage and willingness to train others on their use and safety. The Missouri Department of Conservation employs the state’s game wardens who work in a law enforcement capacity as conservation agents. This agency reported that the average salary for a conservation agent was $45,922 during the fiscal year 2016. This equates to an hourly wage of $22.08. Conservation agent trainees earned an average salary of $36,084 or $17.35 an hour. Salaries were calculated by finding the average from the total payroll expenditure for fiscal year 2016 based on the total number of employees working for the Department that year.